The last couple of years the whole world is mad about cryptocurrencies, which are created and controlled with the help of cryptographic methods. The current situation with cryptocurrencies makes us think of Wild West – no guarantees, no laws and great possibilities to win or lose everything. The slogan of cryptocurrencies world is “Rocket to the Moon”, but in fact you can earn really good money only if there is a perfect spot to invest in. So, meet the new investment project based on tokens: Truegame. 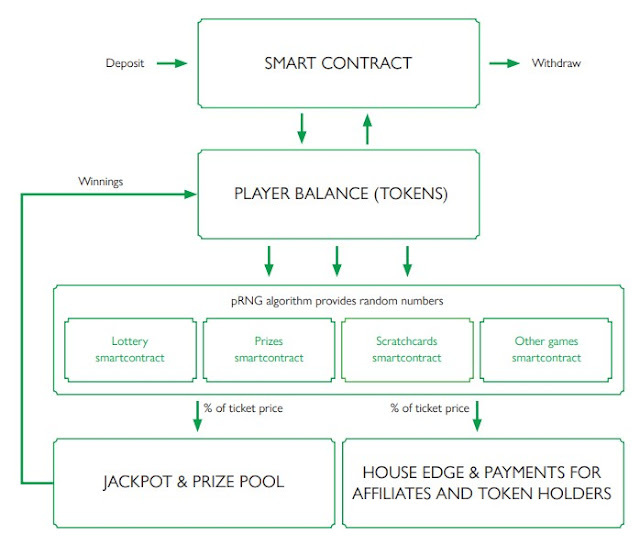 It is a gambling platform, a unique online casino based on blockchain technology, a new but already fully working project with lots of positive comments. It can operate in automated mode and is transparent, understandable and secure for the users. Behind Truegame stands a team of advanced and courageous specialists from Russia. • An active iGaming platform. Today, the gambling market is one of the biggest and most profitable. Many large markets have a lot of problems, and online games and casinos are no exception. Players often complain about the honesty of online casino managers. Players do not have the ability to check the results of games on the sites of the casino. Another problem is cheating casino owners when players do not get their money. These problems will be eliminated by the Blockchain TrueGame project. 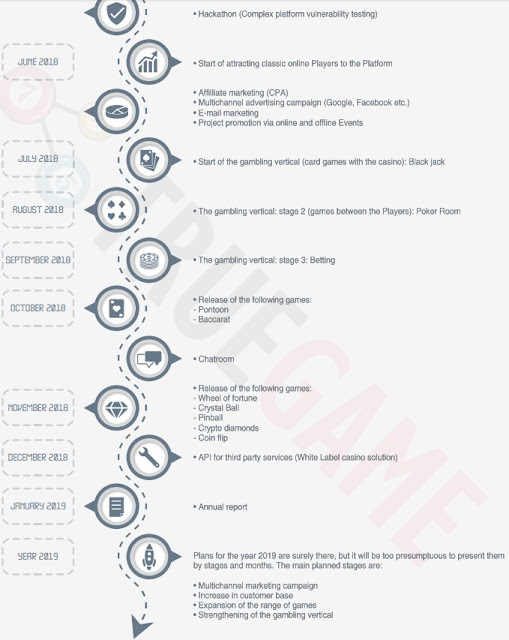 The project team called its project the iGaming platform, whose goal is to provide a reliable service in which gamers can monitor and play real-time games in the most popular games - for example, slots, lotteries and even win lotteries with huge jackpots. 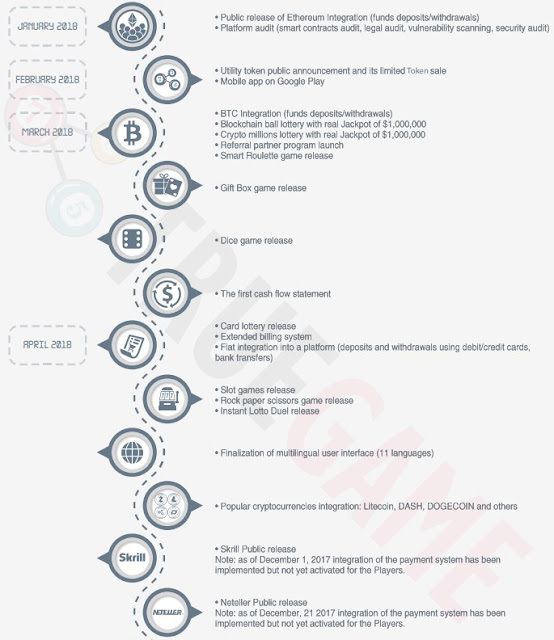 This is the image of the future project platform Truegame. Now you can play some original kinds of games. Truegame casino uses TGAME tokens – a currency based on ETH20 protocol with a total number of 300 000 000 tokens generated. Hurry up to catch your piece of pie before big players take everything! Tokens unsold during PreICO and ICOwill be burned. Soft cap is 2 mln USD, high cap – 9 mln USD. 12% of funds will go for update of the platform and mobile app, 45% - for the campaign to attract players, 33% will serve as jackpots, and 10% - as legal agreements in various countries of the world. The team of the project are not some people who jumped out of blue – they have LinkedIn profiles, and their business is already working. One can invest in Truegame with BTC, ETH and LTC. The minimal limit is 0.1 ETH, and there is no maximal one. 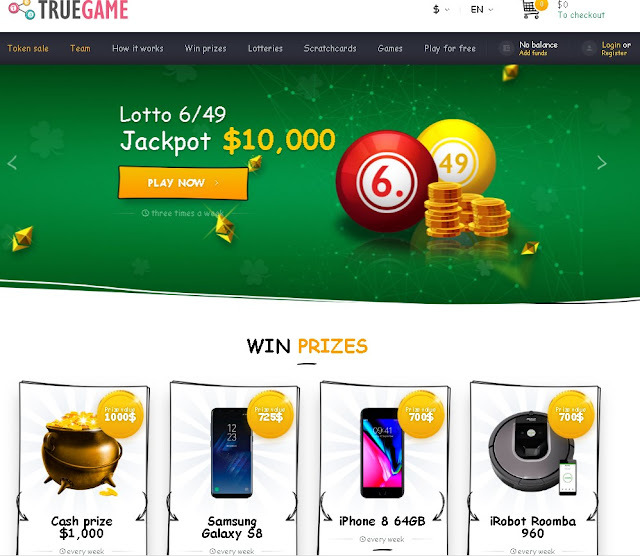 To purchase tokens, you need to go to the site https://ico.truegame.io/ and register. Now the second stage of sales with a bonus of 30% of the number of tokens passes. There is no business without success, and the core of success, especially in the field of cryptocurrency, is hype. 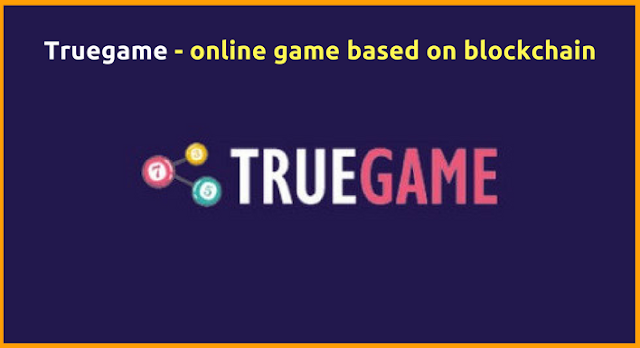 Here is a short review of the level of hype around Truegame: during the first week of its work more than 2500 people joined Telegram channel, 1500 followed Truegame’s account on Twitter and 500 – on Facebook. The marketing strategy of the company looks reliable.